Clean and comfortable Tourist Standard hotels; private transportations; lots of included activities. Some moderate high-altitute day hikes. 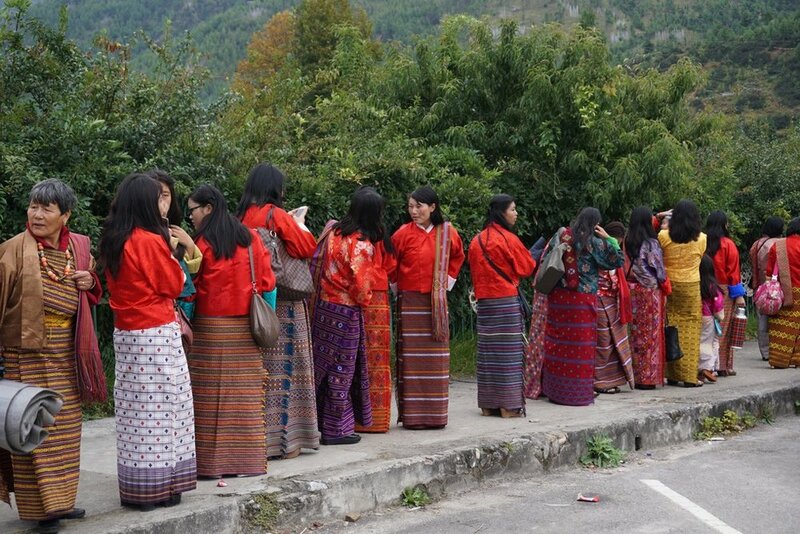 Arrive at any time and be transferred to Thimphu. Enjoy a welcome dinner and meet the team. Enjoy panoramic views of the capital city, hike to the beautiful Changangkha Monastery and end the day at the vegetable market and the Changlimithang Stadium. Embrace the Bhutanese culture by paying a visit to the National Folk Heritage Museum, the Textile Museum and the Bhutan Post Office. Ride in air-conditioned vehicle to Punakha and enjoy the Lungtsezelkha Hike with blossomed alpine vegetations. 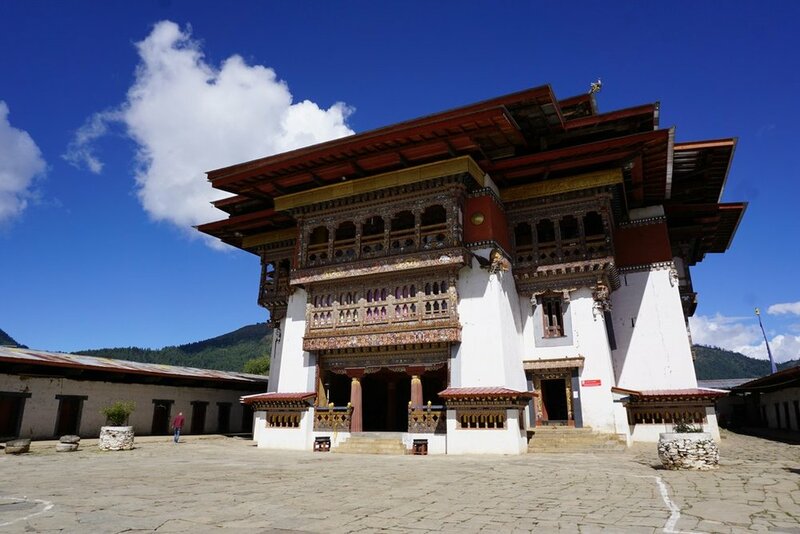 End the day by visiting one of Bhutan’s most charming and eccentric historic figures, the Chhimi Lhakhang monastery. Walk through a scenic trail to Khamsum Yuelley Namgyal stupa and enjoy a picnic lunch served at the bank of the Punakha River. Overlook the valleys of Punakha and Wangduephodrang and interact with nuns at the Sangchhen Dorji Lhuendrup Lhakhang Nunnery. Live like a local at the scenic Tangsibje village while staying in a heritage house built in the 1960s. Be welcomed with a traditional ceremony with songs and music and a splendid authentic dinner. Wake up to the sounds of the village and experience the authentic rural lifestyle. Spend time learning archery with the locals and visiting temples. Later, you’ll be driven to Phobjikha Valley. Drive to Paro. On the way there, visit the oldest Dzong in the country, the Simtokha Dzong, and one of the oldest temples, Kichu Lhakang. 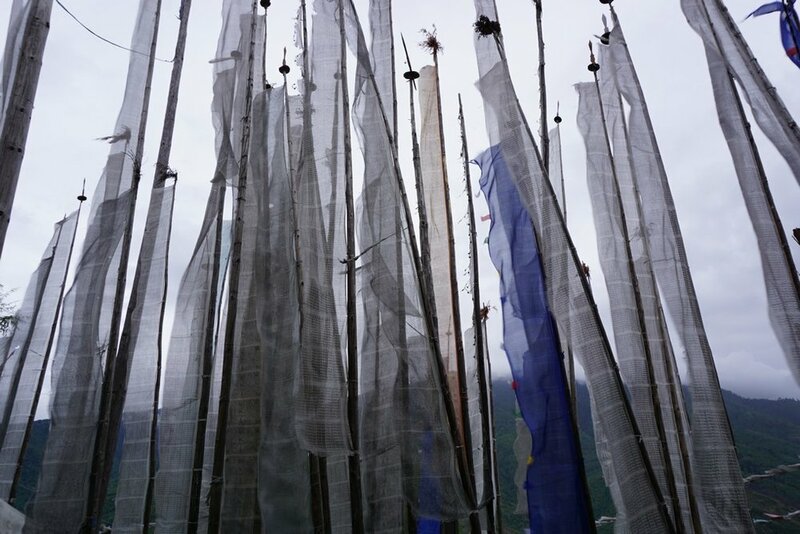 Explore the historic town of Paro, rich with many sacred sites and historic buildings. Last, take a trip to the Himalayan Buddhist sacred site, the Taktshang Monastery, a famous temple built in 1692. In the evening, try an herbal hot-stone bath and end the trip exploring the town. The flight into Bhutan gives a scenic and dazzling view of the world’s highest glacial peaks. After passing through customs and visa control, our professional guide will drive you to the capital city of Thimphu. On the way, our friendly guide will make a brief stop to visit the iron bridge, Tamchong Lhakang. After settling in at the hotel, feel free to take a walk and visit the Memorial Chorten Stupa. End the day with a welcome dinner at one of Thimphu’s best authentic Bhutanese restaurants. Memorial Chorten Stupa: : This Tibetan-style chorten is located close to the center of Thimphu city and is one of the most prominent religious structures in Thimphu. Built in 1974 as a memorial to the third king, Jigme Dorji Wangchuck, it is a large white structure crowned with a golden spire, and for many Bhutanese it is the focus of their daily worship. Make sure to wear comfortable shoes, as we will spend the day exploring. 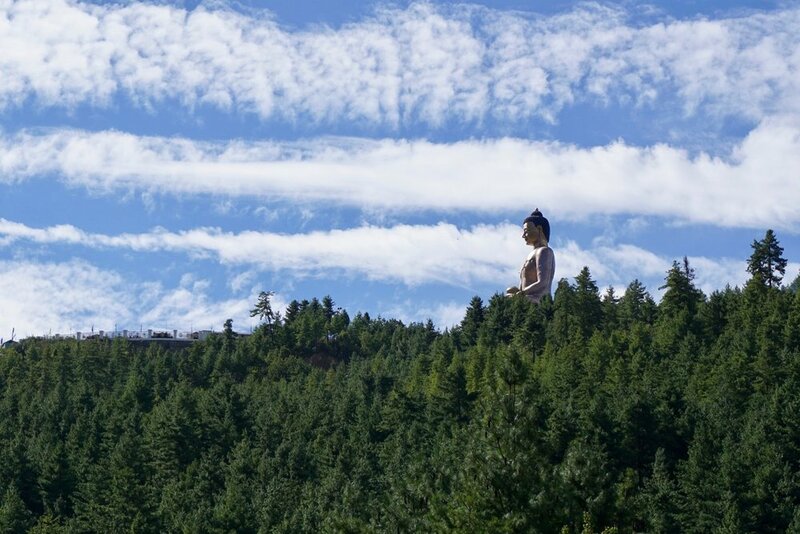 We will see the 169 ft statue of Buddha Dordenma overlooking the Thimphu valley, hike to the spectacular Changangkha monastery, and practice a yoga session at the Kuenselphodrang Nature Park. All of these sites will afford a view of the beautiful city of Thimphu from afar. Stepping out of the city, we will visit a child daycare center and learn more about the education system in Bhutan. Afterwards, we will get to know more locals in the colorful vegetable market where farmers from all over Bhutan come and sell their goods. We will even pay a visit to see the national animal of Bhutan, the takin! End the day in one of Thimphu’s best restaurants to savor authentic Bhutanese cuisine. Kuensel Phodrang (Buddha Point): Kuensel Phodrang is the site of the 169 foot statue of Buddha Dordenma that overlooks the Thimphu Valley. Made of bronze and gilded in gold, this is one of the largest statues of Buddha in the world. Inside, find a spectacular number of smaller gilded Buddha statues - 125,000, to be exact. From Buddha Point, you may take in the panoramic view of Thimphu city. Takin Reserve Center: The takin, the national animal of Bhutan, is a goat-antelope native to the eastern Himalayas. The reserve center is a great way to learn about and view the takin in its natural environment, and it also offers a great view of Thimphu City. Changlimithang Stadium: Built on the site of a battle fought in 1885, the stadium was rebuilt in 1974 as a multi-use stadium. Most days, you can watch locals enjoying the national sport, archery. Played in the traditional style over a 120m long range, watching the Bhutanese practice archery is always a fun way to experience local flavor. While enjoying the beautiful view of Thimphu city at the park, we will practice a yoga session instructed by our certified Yoga teacher. On our way to Kuensel Phodrang, each of us will be given a tree sapling. We will plant the tree and each of the tree will be taken care by Our local friends for at least a month. Learn more about Thimphu’s cultural traditions by visiting the National Folk Heritage Museum, the Zorig Chusum School of 13 Traditional Arts/Crafts, the Textile Museum and the Bhutan Post Office to see the diverse collection of stamps and philatelic history. In the afternoon, we will continue to the northern part of the valley to Begana village. Here, we will hike to the popular Tango monastery through the Rhododendron forests. 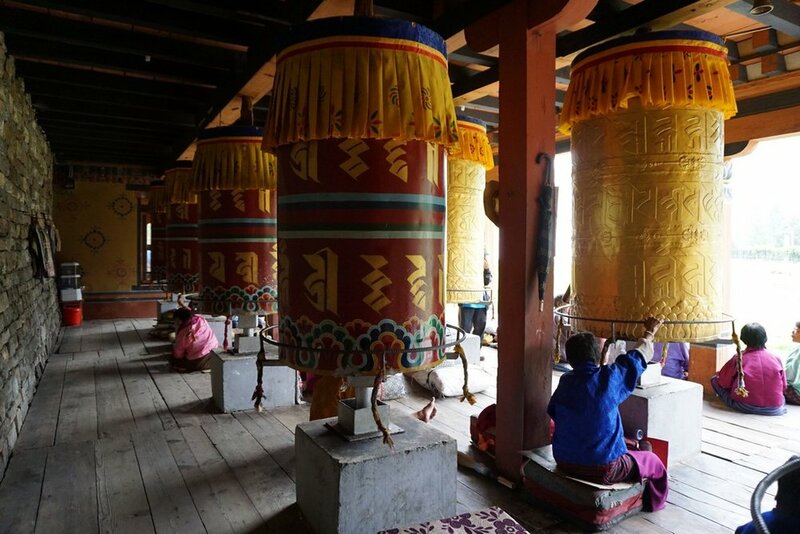 In the evening, learn about traditional healing and wellness practices at the Institute of Traditional Medicine and end the day visiting the Tashichho Dzong. National Folk Heritage Museum: Once a 19th century traditional Bhutanese farm house, the National Folk Heritage Museum provides a glimpse into Bhutanese lifestyle, holding artifacts from rural households. The Bhutan Post Office: A surprisingly popular place to visit, the Bhutan Post Office displays a rich collection of stamps significant to Bhutan’s history. Here, guests can learn about how stamps have influenced Bhutanese culture, and even get their pictures on a stamp to send postcards to loved ones. The Institute of Traditional Medicine: Be amazed by the myriad collection of Himalayan herbs used in the traditional healing system and wellness practices. Tashichho Dzong: Built in 1216 and once a Buddhist monastery and fortress, now the Tashiccho Dzong acts as the government’s central administration headquarters. It is also the offices of the King and the Prime Minister and is one of the major attractions of Thimphu. For outdoor enthusiasts, join us for a mountain bike tour. Our experienced leader will take you to explore the adventurous side of Bhutan. Detailed information about time and bike route will be shared in the morning on that day. Enjoy some local craft beer and live music in one of the most popular bars in Thimphu. We will begin the day driving to Punakha over the Dochula Pass. From there, we will hike the Lungtsezelkha trail, which passes through the Rhododendron forest and alpine vegetation – in full bloom during this time of year. When returning from the hike, take a walk through the low-lying rice valley of Lobesa. Here, we will be able to pay our respects to one of Bhutan’s historic figures at the Chhimi Lhakhang. We will also take a short hike through a beautiful village surrounded by paddy fields. Druk Wangyal Chortens: Situated atop of the Dochula Pass, the Druk Wangyal Chortens consists of 108 chortens (stupas) that were built to exemplify the greatness of the Fourth King. Lungtsezelkha Hike: This lovely and moderate hike passes through the Rhododendron forest, where alpine vegetation will be in full bloom. Yaks are often spotted. Starting from the Dochula pass (3150m), climb up to the Lungtsezekha Temple (3800m) and see the Greek Himalayan peaks of northern Bhutan. Draktsho Vocational Training Institute is dedicated to help children with disabilities in Bhutan. We will pay a short visit to the institute. You may also help by donating used books, stationeries and other educational materials. We will begin the day by driving to the Khamsun Yuelley Namgyal stupa, where we will also take a short scenic hike through the paddy fields to get to the temple. 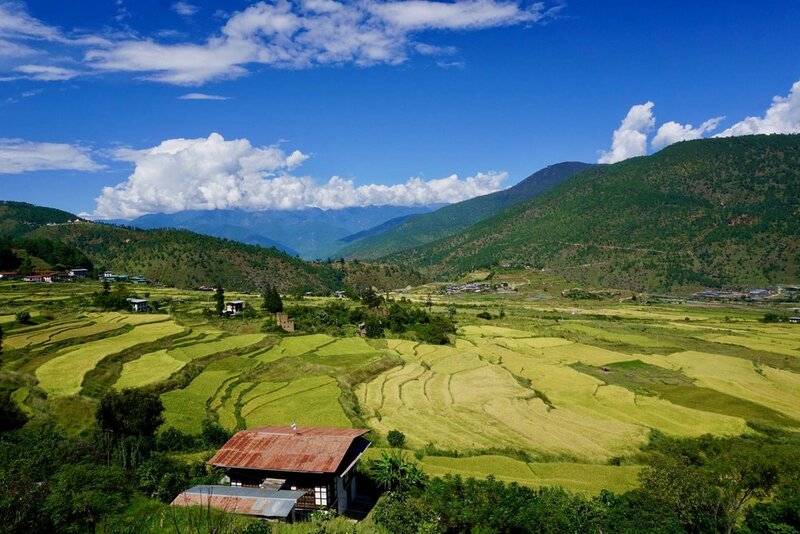 Here, we can take in the majestic view of the underlying Punakha valley. A picnic will be served on the banks of the Punakha River. Afterwards, we will continue to Punakha Dzong, the most beautiful fortress in Bhutan. We will end our day at the Sangchhen Dorji Lhuendrup Lhakhang Nunnery, which overlooks the valleys of Punakha and Wangduephodrang. Khamsum Yuelley Namgyal Stupa: A short, scenic hike through paddy fields in Yepaisa Village leads to get to this temple at the top of a hill. From here, enjoy majestic views of the underlying valley. With its exterior in the form of a pagoda and its interior containing images of dieties, the temple is a perfect example of Bhutan’s fine architectural and artistic traditions. 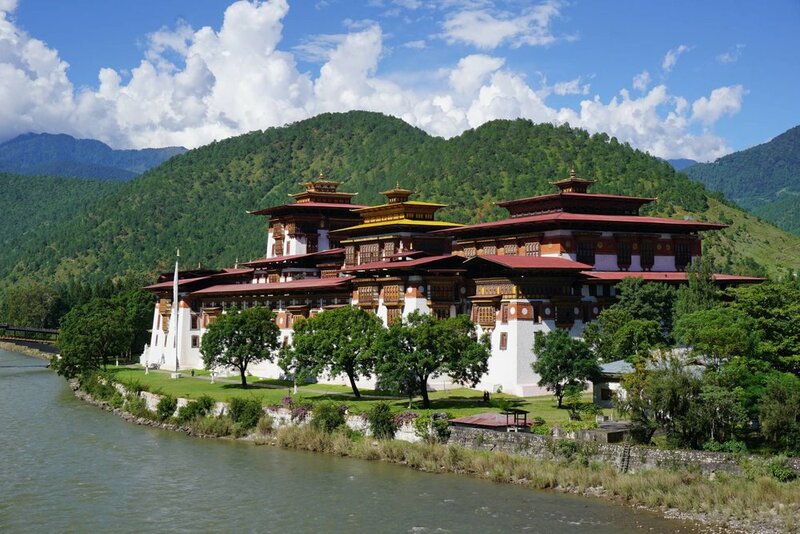 Punakha Dzong: Both a beautiful fortress and a major administrative center, the Punakha Dzong is at the confluence of two rivers. The ancient fortress is the winter residence of the monastic order’s leadership and still serves as the administrative headquarters for the Punakha region. Sangchen Dorji Lhuendrup Lhakhang Nunnery: This nunnery is a large temple complex that acts as a meditation center for its nuns, who are always open and eager to speak with English-speaking visitors and learn about their culture. In addition to allowing its visitors to listen to prayers, the nunnery also offers great views that overlook the valleys of Punakha and Wangduephodrang. After breakfast, take a trip to Tangsibje to stay with a local family in a heritage house built in the 1960s in the beautiful villages of the Trongsa district. The host family will welcome you with a traditional chipdrel ceremony consisting of songs and music, and you will enjoy a splendid dinner prepared with fresh organic vegetables and herbs from the host family’s garden. There will be a cultural evening showcase, where you will be encouraged to share some songs from your culture too! 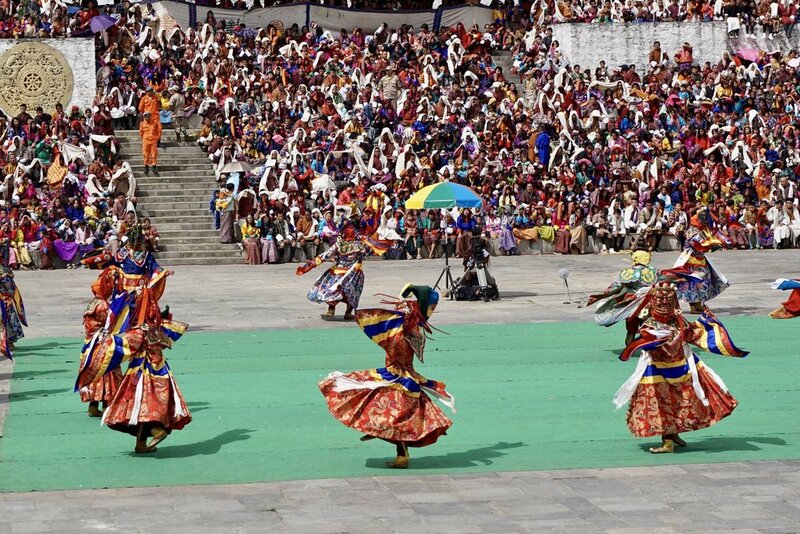 No other tour operator provides such first-hand access to the authentic, rustic lifestyle of Bhutan. Stay one night in the heritage farm house in Tangsibje. We will eat and sleep like a local. Live like the locals of Tangsibje as you wake up to the sounds of the village. 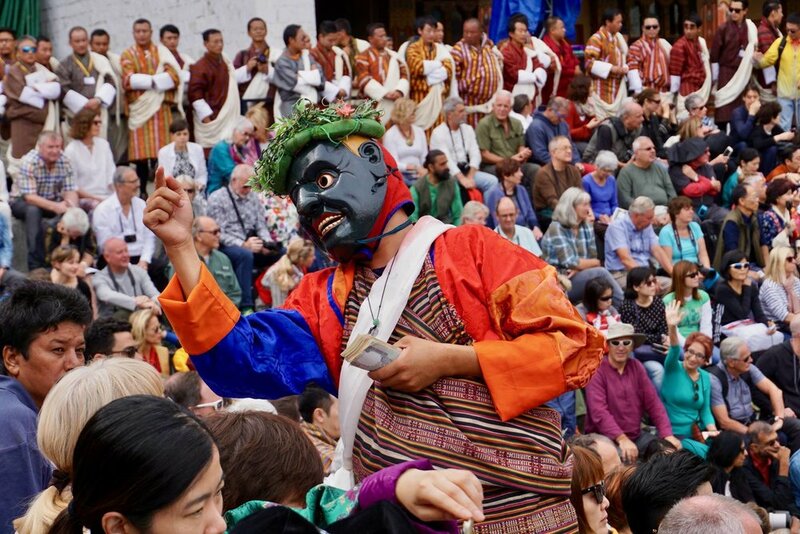 Then you will have your choice of many local activities: You can learn how to help make a Bhutanese-style breakfast, take a walk around the village to visit temples, play a traditional dart game called Khuru, or learn how to perform archery in the Bhutanese style. Afterwards, we will drive to Phobjikha Valley. Walking into this idyllic valley, secluded and remote, instantly lifts the spirit. As you walk through the scenic nature trail around the Phobjikha Valley, the hike ends at the famous Gangtey Gonpa temple. This monastic school is the biggest Nyingma monastery in Central Bhutan. The host will teach us how to play Bhutanese archery. It is one of the most favorite games by villagers. Begin the morning with a drive to Paro Valley, an historic town with many sacred sites and buildings. Recognized as one of the most beautiful towns in Bhutan, Paro Valley is considered the rice bowl of the country. En route, we will visit the Simtokha Dzong and Kichu Lhakang. Once we get to Paro, stroll around and enjoy the evening and night at the hotel. Simtokha Dzong: Meaning “castle-monastery,” the Simtokha Dzong stands on a lofty ridge and now houses the Institute of Language and Cultural Studies. It was opened in 1629, which makes it the oldest Dzong in Bhutan. Kichu Lhakang: One of the oldest temples dating back to the 7th century, Kichu Lhakang was built by Tibetan king, Songchen Gyampo, to propagate Buddhism. 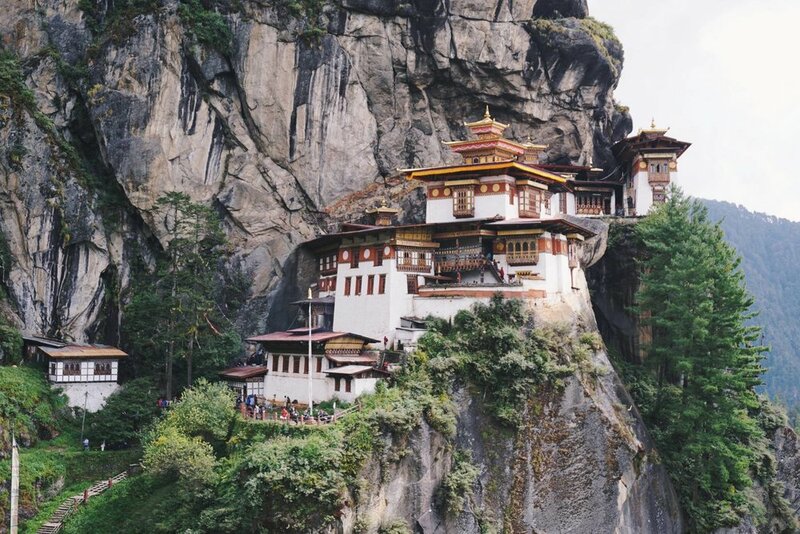 Experience Bhutan’s most valued attraction, the famous Taktshang Monastery, meaning “Tiger’s Nest Monastery.” We will also visit the ruins of Drugyal Dzong fortress. After lunch in Paro, we will see the Paro Rinpung Dzong fortress and hike up the National Museum that houses some of the most treasured collections of Bhutanese art, artifacts, textiles, stamps and statues. Later, get in touch with your therapeutic side with an herbal hot-stone bath to soothe the mind and body. In the evening, explore the town or visit handcrafted shops. Tiger’s Nest Monastery: This temple was built in 1692 by a historical figure named Gyaltse Tenzin Rabgye. Legend is that this builder was the reincarnation of the 8th century guru, Padmasmabhava. Our group has the opportunity to meditate in the inner shrines of the monastery. Drugyal Dzong Fortress: This fortress and Buddhist monastery, now in ruins, is an important part of Bhutanese heritage. It served as a strategic watchtower and fortress that helped repel numerous Tibetan invasions in the 1600s. Enjoy a complimentary herbal hot-stone bath which helps relax your body and mind. Depart at any time. Our driver will transfer you to the airport for your journey home.